Explain how to import files in Quickbooks? You can easily import your data or files from QuickBooks Enterprise to QuickBooks Online(QBO). I am very happy to give you some efficient way to do this. Must logged-in already as the Administrator in both the Desktop file and QuickBooks Online. You should not have 350,000 or more QuickBooks company files. If Product Information window is still open then press Ctrl+b followed by Ctrl+q keys from keyboard. Click on OK to close the window. Now, you will see a new window named as Export to QuickBooks Online . Type your QBO user ID and Password. Enter pick the QBO company or choose the option to create a new QuickBooks Online Company. 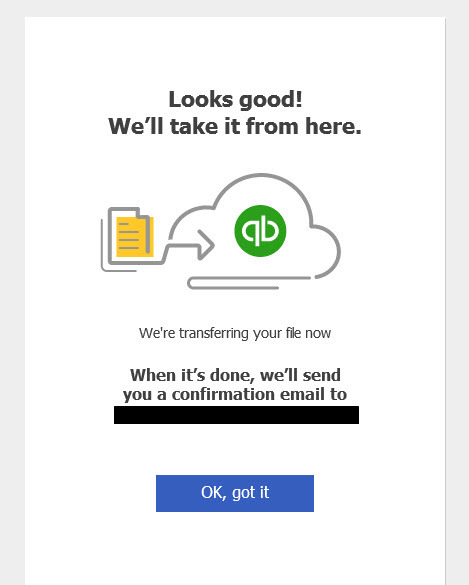 After receiving the Intuit’s email mentioning that your data has been incorporated into your QBO Company file, again log-in to your QBO account. You can compare your Online data with your Desktop Data. jasminarya Answered on July 13, 2017.